Testimonials/reviews have the most effect if they can be seen to be genuine and independent. 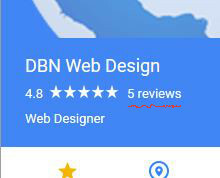 Click on 'WRITE A REVIEW'. and write your comment where it says 'Write a Review'. To write a review on FreeIndex, you only need to provide your name, email address, and postcode (and a password for your account). No other personal information is required. People who write reviews on FreeIndex are given an account purely so they can log back in to the site and edit or remove their review in future if they need to do so for any reason. Customers can always close their accounts if they don't want to have one, without removing their review from the site. FreeIndex do offer the option to register on the site using an existing Facebook, Google, Windows, or Yahoo account. You have to register on the Yell.com site. You can see what others have been saying on our Testimonials page.